ACE student’s have the opportunity to get another year of chess instruction through the Wednesday afternoon Chess Club! 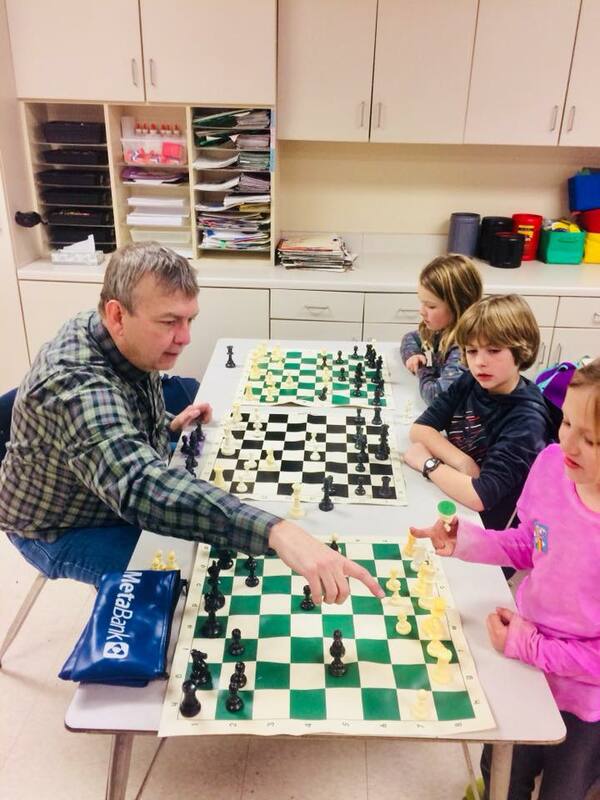 We are excited to announce that David Kerkhove, a Sioux Falls resident who is in the top 5% of all chess players in the United States, will be teaching again this year. His curriculum will start with the basics and the strategies will become more advanced as the weeks progress. He will offer quizzes (where you will suggest the best upcoming move), with prizes for the correct answers and have other various chess related games. The highlight will be the end of year ACE chess tournament in April. We are also hoping to arrange a match at the end of the year against another school. This is another great example of why parent involvement makes ACE so special. Thanks to our parent coordinator this year, Sarah Yoder for her commitment to chess at ACE!